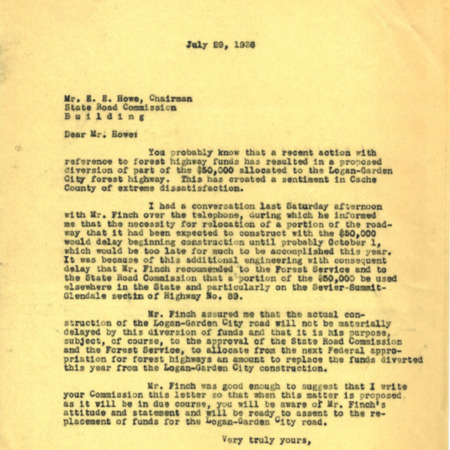 Correspondence from Utah Governor Henry Blood to State Road Commission Chairman E.E. 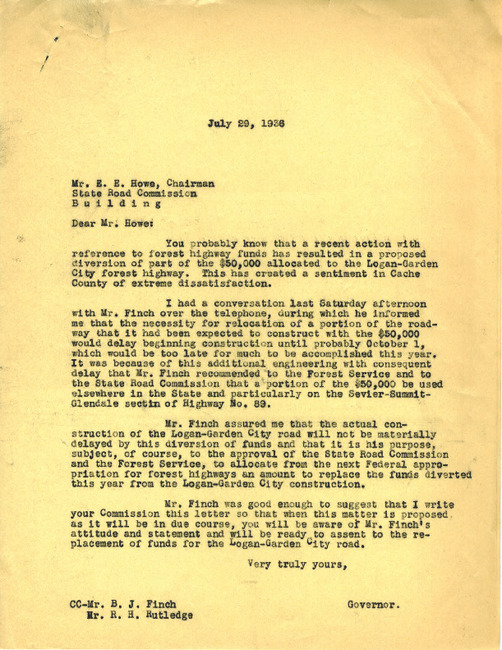 Howe concerning the diversion of forest highway funds allotted for construction of the road between Logan and Garden City to construction efforts along the Sevier-Summit-Glendale section of Highway 89. Governor (1933-1941 : Blood) , “Correspondence from Henry Blood to E.E. Howe, July 29, 1936 ,” Highway 89, accessed April 22, 2019, http://highway89.org/items/show/10243.